In this article, I will present various good websites and its usages for children to learn various subjects through games. 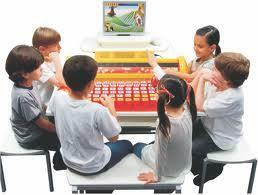 The learning by games will make the child to ease of understanding the concept. There are various websites available to learn through games. The links for the popular learning through games websites are available in this article. This article helps the children to connect those websites directly. The learning is not a easy task for all. It will vary from child to child. The ability of learning can be improved in many ways. One way of good learning is "learning through the games". Each and every child will like the games in nature. Through the games, they will learn the concepts easily. So, the learning through the games will be very useful for the children to improve their skills, knowledge and talents. In this article, we can see the popular websites for "Learning through the games"
The learnthroughgames.com is a very good website for children to learn various concepts and subjects through games. We can register as a member in this website with free of cost. Once we registered as a member in this site, we can play variety of games to learn various activities. This website helps the teachers and parents those who are looking for more fun and creative way to tech. This website has variety of games with simple concepts to learn various subjects. There are educational, kids and preschool games available in this site. It also includes games like active games, board games, card games, puzzle games and matching games. It improves the effectiveness of learning through play. The learningthroughgames.com is a nice website for kids to learn more through fun. This website was started in the year 1996 by Aaron Dean who he was a college student in Canterbury school in Fort Wayne. He taught kids logic and mathematics through "Chess program". This teaching technique was liked by many teachers and parents during that period. In this website, He provided links to various chess associations and chess federations in united states. He also provides current news about chess in this website. The experiential-learning-games.com is an education based website for kids. The Experiential learning games website makes learning fun. It also makes kid's and children's learning permanent. This website has plenty of training games and maths games etc.. There are lot of leadership games, communication games, creativity games and time management games available in this website. This website also includes separate games for kids and maths. The learninggamesforkids.com is an effective website for kids and child to update their skill through fun and games. This is an educational game website for kids and children. It has many online learning games for kids that makes them fun. This site has many learning games for preschool and elementary school kids. This website has spelling games, maths games, educational games, animal games, health games, science games, brain games and vocabulary games. The zondle.com is a teachers support website that helps the teacher to monitor the students. In this website, the kids and children can play games that support for their learning. The children can register their names in this website to play more games with free of cost. The teachers can also fix the topics for their students and monitor the progress through this website. The plenty of games are available in this website to learn various subjects as fun.